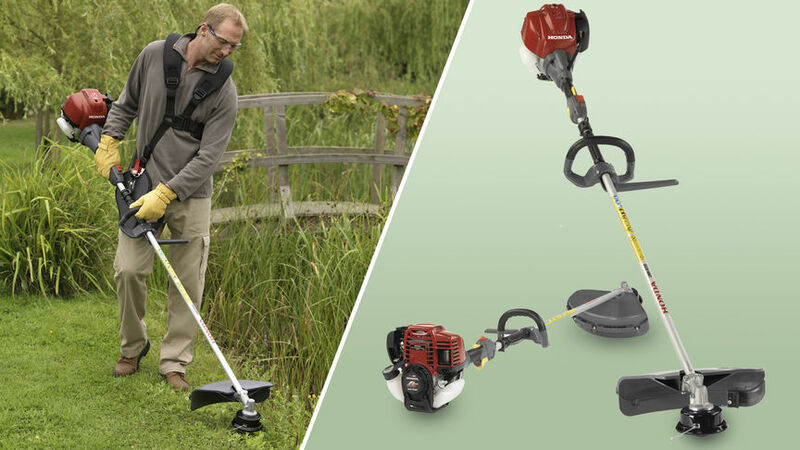 Home > News > HONDA UMK BRUSHCUTTER SPECIAL OFFER ! On offer now and while stocks last is the Honda UMK range of brushcutters. With a choice of 25cc or 35cc four stroke engines in both loop and cow-horn handles there is a machine in the range to suit your needs. Why Honda four stroke brushcutters ? No need to mix the fuel and oil - just straight unleaded petrol needed. Easier to start and quiter than the 2-stroke equivalents. UMK 425 LE - 25cc loop handle RRP inc vat £395.00 - 25% = £296.25 inc vat. UMK 435 LE - 35cc loop handle RRP inc vat £495.00 - 25% = £371.25 inc vat. UMK 425 UE - 25cc cowhorn handle RRP inc vat £415.00 - 25% = £311.25 inc vat. UMK 435 UE - 35cc cowhorn handle RRP inc vat £515.00 - 25% = £386.25 inc vat. This offer is available in store only, whilst stocks last and can't be used in conjunction with any other offer. Why not take advantage of this great deal.